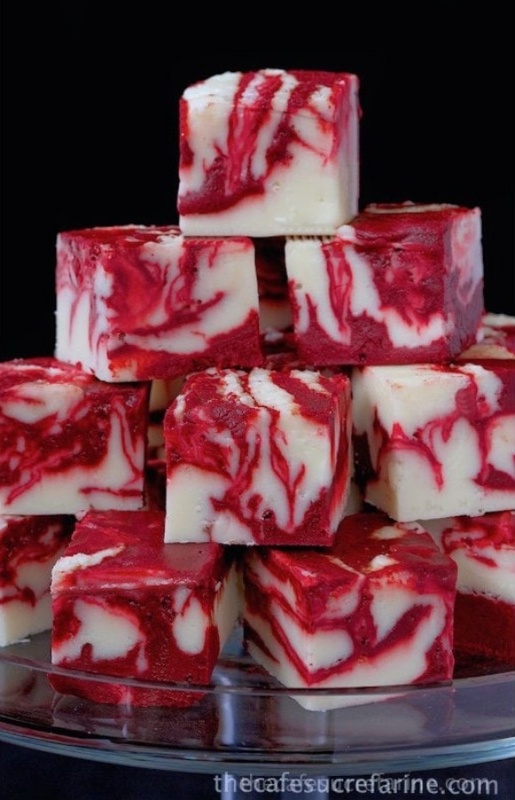 Winter White Red Velvet Fudge By Chris Scheuer - The Café Sucre Farine. A delicious, beautiful fudge for any season; not just winter! Try it for your next party; or for fun gifts to give relatives, neighbors and friends.